2-30 days on a single charge is achieved by Layered Display technology and two functioning modes. 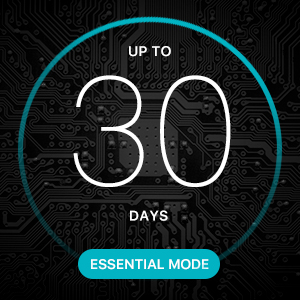 Smart Mode will get you 2 days of battery life and Essential Mode will net 30 days of battery life. If auto-switch to Essential Mode is turned on, then 5 days of battery life is possible. When outdoors with GPS tracking running the entire time, you can get 10 hours of battery life before recharging. Swipe or insert bank card? Wait. Enter your PIN. Wait. Approved yet? Wait. Stop living in the past and embrace the future. 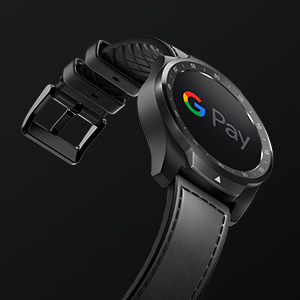 With Google Pay built into TicWatch Pro, just point, pay and go. What are you waiting for? Google Play Music? Yes. Google Fit? Check. Spotify? Yup. 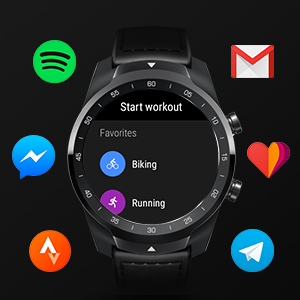 Find your favorite apps on Google Play and download them directly from your watch. Everything you need on your wrist. Spotify and facebook messenger are not applicable for iPhone users. 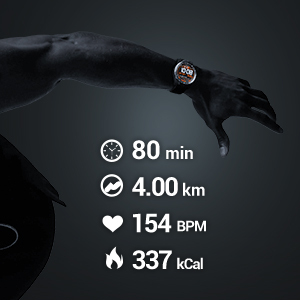 TicWatch Pro is packed with sensors so that your health and fitness data is measured accurately. GPS built-in - Track your jogs and map your route accurately. Steps and calories counter - Hit your goals and be healthy. Heart rate monitor - Keep a pulse on your heart health. Fitness apps - Google Fit, Strava, Runkeeper, etc. Stream music - Enjoy your playlists while you get fit. TicWatch Pro has both a high resolution AMOLED screen and a power saving FSTN LCD screen to empower you with unprecedented control over extending battery life up to 30 days. 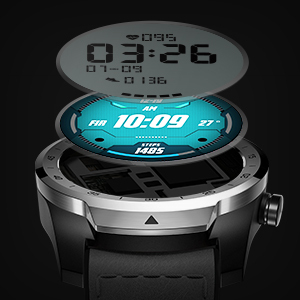 TicWatch Pro has Smart Mode and Essential Mode to adapt to your needs and optimize your battery usage. Optimize your battery usage by switching between Smart Mode and Essential Mode. Enable Auto Switch into Essential Mode when the battery is low ensuring a minimum battery life of 5 days on a single charge. 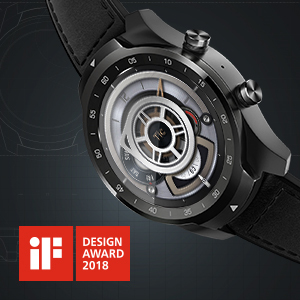 2018 iF Design Talent Award winner. Stainless steel bezel and cover with a carbon fiber body and Italian leather breathable straps. Smart and look good too. Shouldn’t your watch be just like you? Send a text message(only for Android phone), make a call (only for Android phone) or check for directions. Just tell Google to do it directly from your watch through the power of your own voice. At our core, speech recognition AI is our bread and butter. 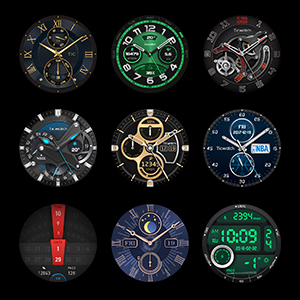 Let TicWatch Pro express your mood and be unique through hundreds of watch faces available only for the TicWatch line. Mohon maaf, produk TicWatch Pro Bluetooth Smart Watch, Layered Display, NFC Payment, Google Assistant, Wear OS by Google (Formerly Android Wear),Compatible with iPhone and Android (Black) sementara ini sedang habis.